Chuck Underwood , founder of The Generational Imperative, Inc.
•… and other niche generational strategies. Underwood is one of the handful of pioneers who created, developed, and popularized the field of generational study. The principles he established over the past quarter-century – from his formal research and front-line work with clients in all industries – are now a permanent part of this discipline. As you’ll read in the testimonial comments that dot this website, he is also considered by audiences in the U. S., Canada, and western Europe to be the best presenter of these strategies: in his training seminars, workshops, and keynote speeches. 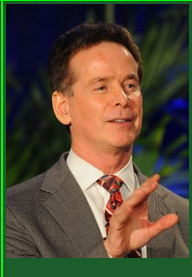 On PBS , he is the host of the national-television series, America’s Generations With Chuck Underwood, the first presentation of America’s living generations in the history of national television. His clients include Hewlett Packard, Macy’s, Procter & Gamble, Coca Cola, Time Warner Cable, State Farm Insurance, Edward Jones, AAMCO Transmission Dealers, National Association Of Corporate Directors, World Presidents Organization, Associated General Contractors, U. S. Army, Navy, and Air Force, American Council On Education, Veterans Administration Hospitals, Mental Health Corporations Of America, American Association Of Advertising Agencies, Chief Executive Network, National Association Of Consumer Shows, American Society Of Association Executives, and hundreds more, large and small.